Hey everyone. I'm Tim (or Trip, either is fine), I'm 28, and I live in western NC. I'm an automotive technician by trade, though I've never worked on bikes. I rode a very little bit in high school, but not enough to ever even get fluent with the clutch. Just enough for a taste. 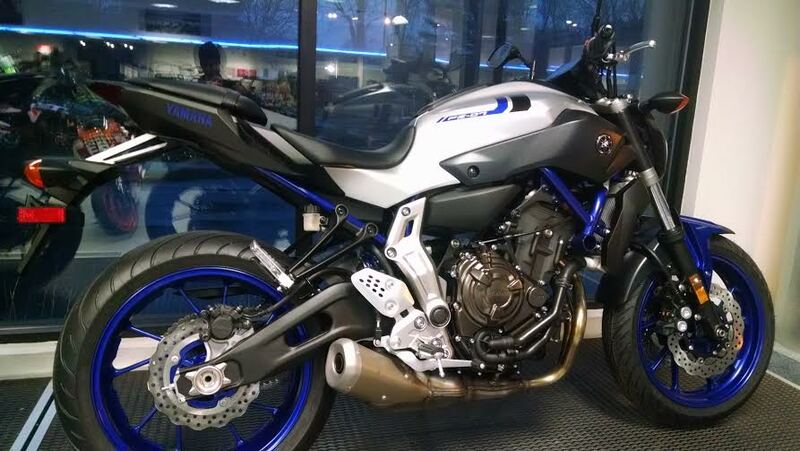 Now that I'm old enough, I've talked myself into the FZ07. I've had it about a month now. 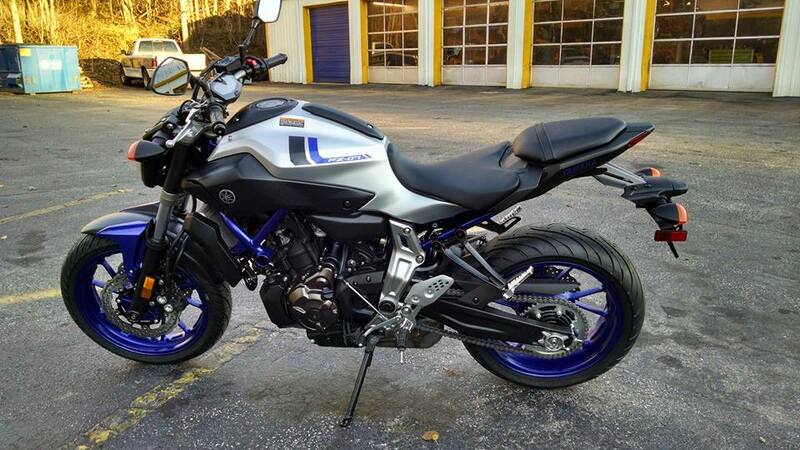 When I first got it, I had the dealer deliver it to my shop so I could practice riding in the parking lot and the nearby neighborhood, while keeping it in the shop at night. I finally got my learner's permit and took the baby home. It's cold out there, but damn I love riding already. I'm glad to be here to talk with you all and trade info/stories. I do have one question to start: the salesman told me that at 600 miles I need to bring the bike back in to have it checked out, to make sure it's breaking in properly. Is this true/correct? Thank you. But the salesman told me that at 600 miles they R&R the engine to check out the internals and make sure it's all working the way it should. If it's just an oil change and chain adjustment, I think I can handle that. Personally I'd change the oil at 100miles with dino and then do it again at 600. The 600 mile service should be very inexpensive. Look at your owners manual and it'll lay out the checklist for 600mi and the dealer is very unlikely to do anything more. Get thee to a MSF or some other training course. Yeah sure the first day you might be bored but think of it as a challenge to do each exercise PERFECTLY. As an instructor when I dealt with riders who thought they were too good for the class I could always find something to point out that needed improvement. The student would up their game and invariably they would admit they really learned a lot despite it being an intro course. Then later in the season register for the 'advanced' course and you should be suitably challenged. +1 for the msf. Invaluable. Crush your enemies. See them driven before you. Hear the lamentations of their women. Thank you very much, guys. There are only two colleges in the area that run the course, and neither does it until after winter. I fully intend to take the course, but it'll be March before I do. welcome to the forum mindtrip. Took the MSF course because here in Iowa, if you pass the course you get a "pass" for the DOT to get your driving license without having to take the riding portion of the test. Since the school provided bikes, I didn't have to get my first bike (1971 Honda CL100K1) "street legal". It doesn't have a working horn on it. I really didn't think I'd learn much from it and boy was I wrong. The instructor found my weak points (left/right steering lock and turning into the street and 18' radius U-turns). It really build confidence and increased my awareness of some of the risks I was (in hindsight) stupidly ignorant of. Thanks, sane. I was pretty bummed to find out that there isn't a course available for a while. My lack of experience has made me a little wary of the open road, but I'm a pretty defensive rider. I'm definitely getting into the course in March when it's available. For the learner's permit, I had to take the written (computer) test. The course does the same thing here as in Iowa - if you pass it, it substitutes for the DMV driving test. So once I do that, I'll have my full motorcycle endorsement. I forgot to mention that I ride in full gear. I may forego the riding pants on a particularly hot day in mid-Summer, but I always have gloves, helmet and jacket on. Even for short 1/2 mile trips to the corner shop. I had two cars turn left in front of me in intersections in the first few weeks of riding. The first was hair-raising as I had to use the quick serve and back maneuver to avoid his bumper broadsiding me into the back corner of the bus on my right. Thanks to Lori, my msf instructor, who made me repeat that drill until I had in down, I even signaled during said swerve 'n' back. I didn't even think to do it, it was reflex. The second was less exciting. I managed to stop from about 40 mph in time, barely raising my rear wheel off the pavement. Full emergency braking with my heart in my mouth. The car never stopped. So now I'm NaffMan with full Hi-Viz gear. Don't know if it helps/Probably can't hurt, right? I'm grateful I haven't had to do anything like that yet! I feel like a lot of people do mistake me for a moped, though - I have cars frequently pull out in front of me when I'm doing 45ish. The gear is extremely important. I don't have any riding pants, but I have a good Fly jacket and Kabuto helmet. I wear those and my gloves every time. I find that the orange with reflective tape vest gets the attention of the ladies^H^H^H^H^H drivers. If you're wearing a Kabuto, people will respect you more once they see the wakizashi and geta. Though they might snigger behind their hand if your Kimono flaps too high. Im new at this only been riding for 2 months or so...i took the msc course and did learn some things. 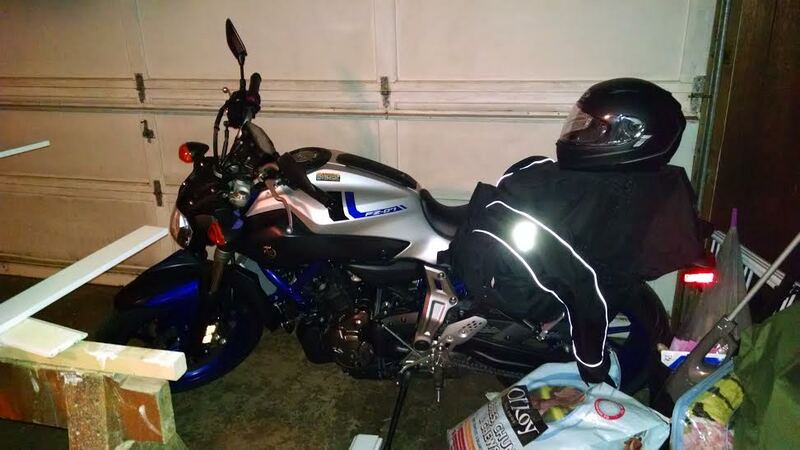 I have 0 riding experience, but as soon as i got my bike i went out every day at midnight to a big parking lot, practice making u turns, normal turns, go to 40mph and brake hard. Once i felt good with that i jumped on the most congested road and freeways to learn and so far no calls yet thank god. Keep your distance, dont stab the brakes and dont lane splitjust yet and youll be good!! !